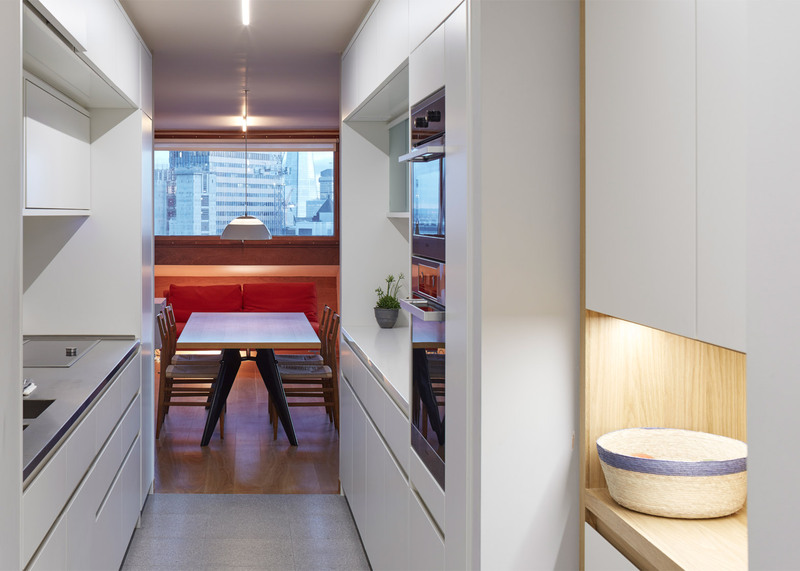 London studio Quinn Architects has designed a minimal interior for this apartment in the city's Barbican Estate, pairing white lacquered surfaces with timber skirting and oak cabinets (+ slideshow). 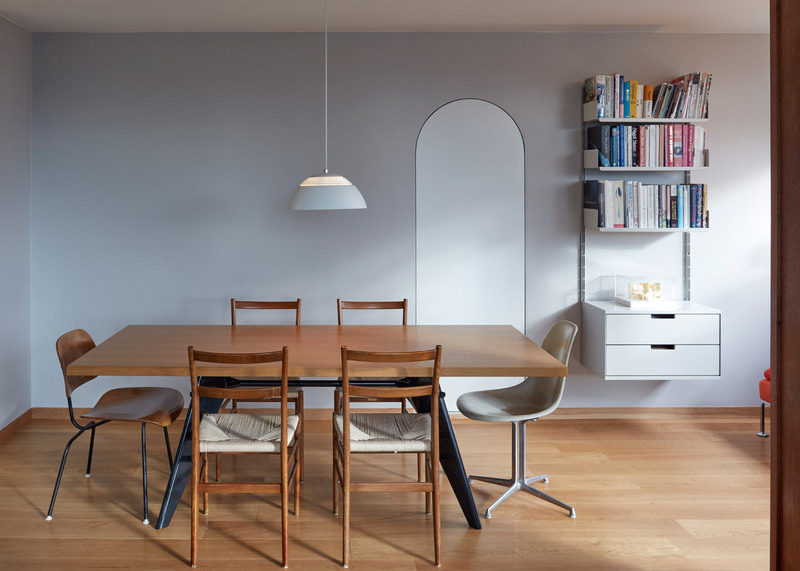 The firm refurbished the apartment for Quinn Architects director Laurence Quinn and his family, aiming to make it more suitable for their needs. 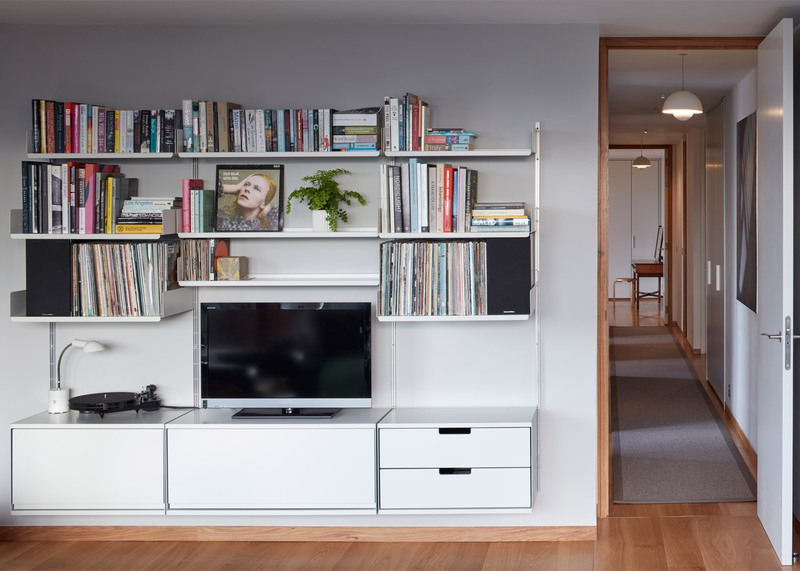 From a rented workshop in Camberwell, the team set about designing, prototyping and manufacturing every detail in the apartment over a nine-month period. 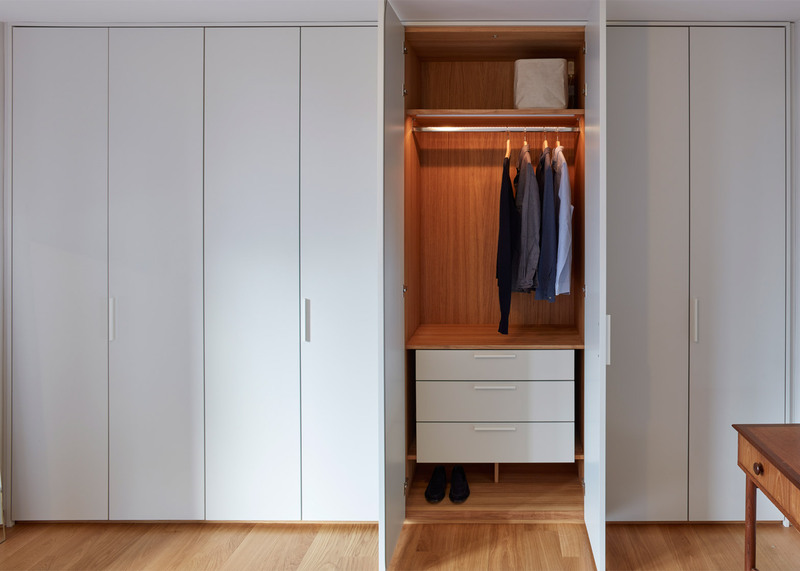 Treating the project as a "research exercise", the architects took the opportunity to experiment with materials, fittings and fixtures for the apartment. 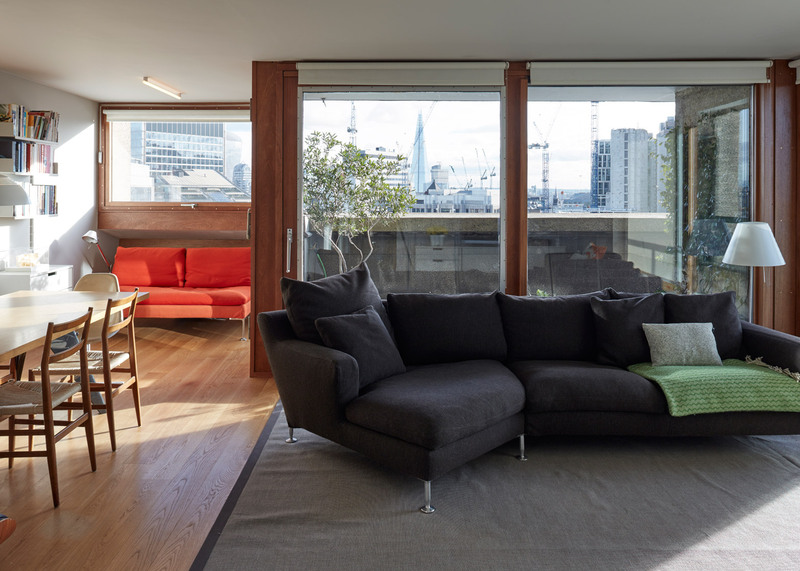 "This interior project is a personal study of living on the estate and, due to the intensity of the design development and a desire to experiment, it was decided to procure the project in an unusual way," said Quinn Architects. "Each element of the project has been designed, purchased and procured directly and built using two skilled craftsmen who have been central to the success of the work," they added. "Only the stainless steel kitchen workshop and the MDF two-pack polyurethane paint finishing were manufactured by external specialists." 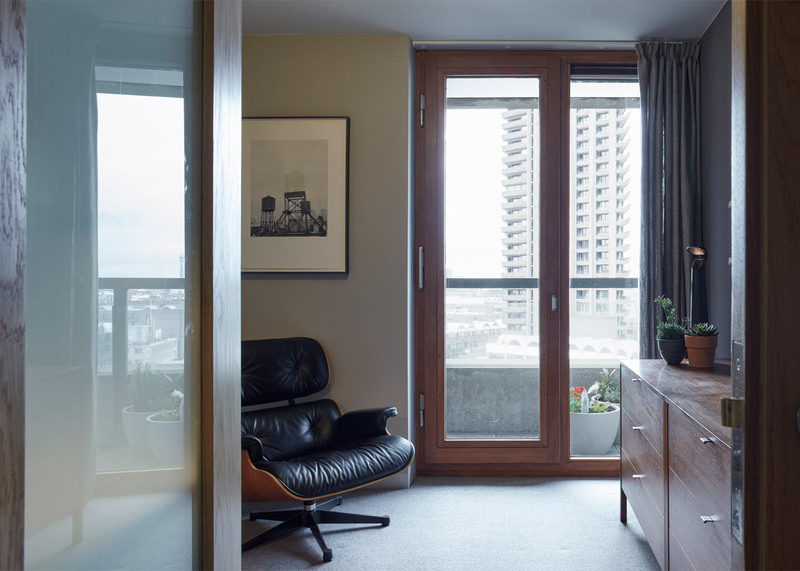 The famous Barbican Estate was designed in the 1950s by British firm Chamberlin, Powell and Bon, and is one of the largest examples of the Brutalist style. 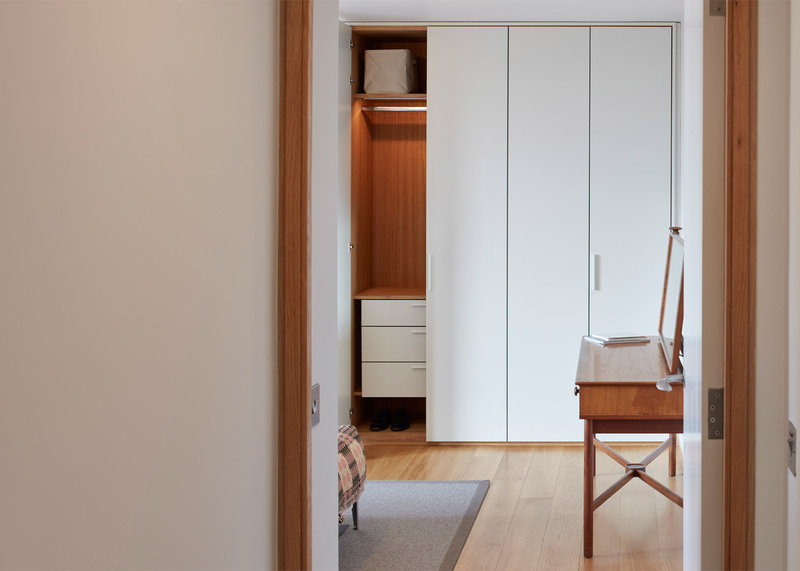 The apartment's location within the estate was used as the inspiration behind the interior design, along with a request for well-organised spaces and storage that would respond the family's needs. 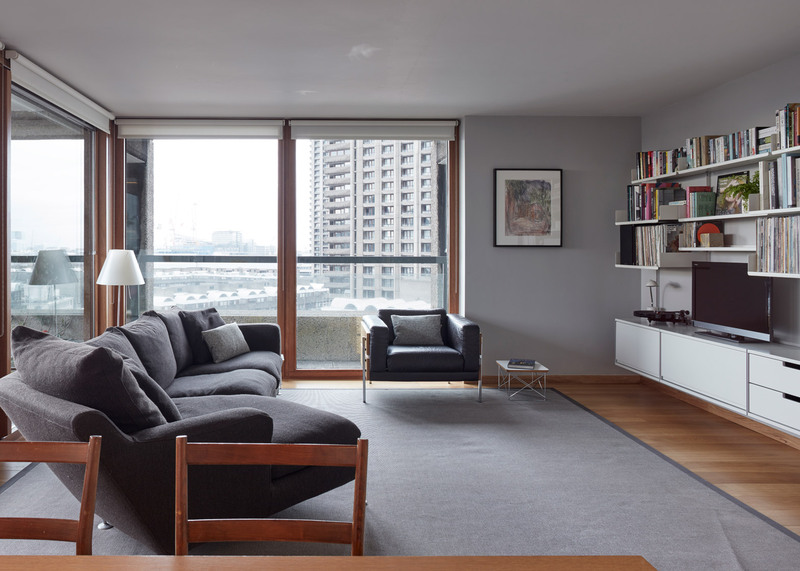 The architects slightly altered the existing plan, and focused on the design of the interior cabinets and storage elements incorporated throughout the apartment. 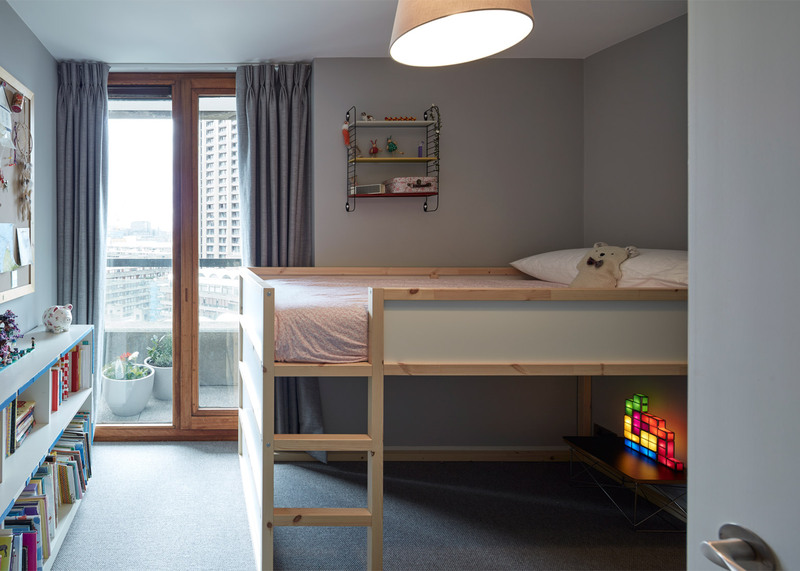 Room layouts were adjusted only by the repositioning of two doors, which used to clash when they were opened. A door was removed between the kitchen and service room. 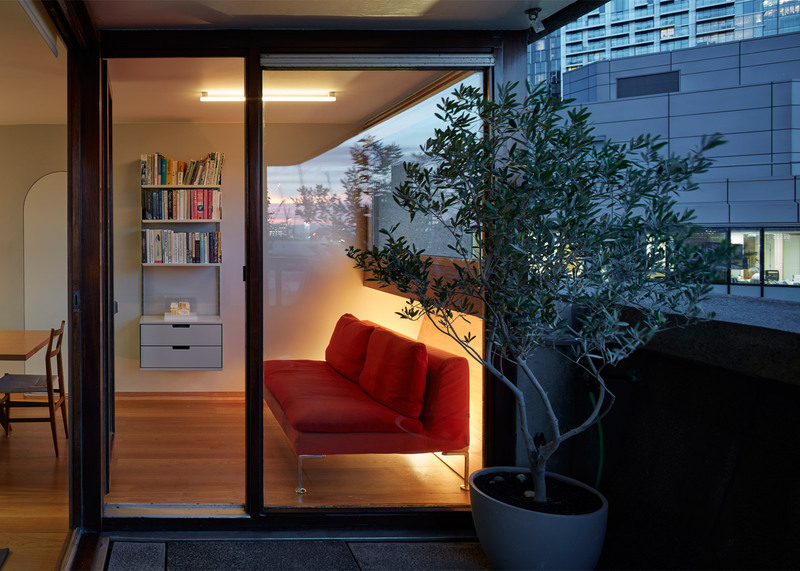 "The 43-year-old interior had become tired and the occupants required a set of spaces and precisely organised storage that would respond to ever-changing family needs," said the architects. 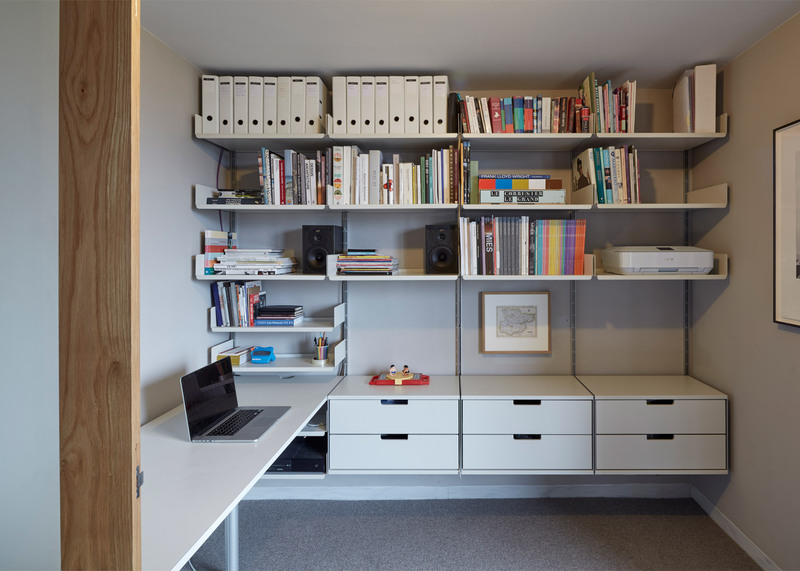 "A reductive approach to retiring some original elements was adopted to allow better use of the space, although these decisions were only taken after careful consideration." 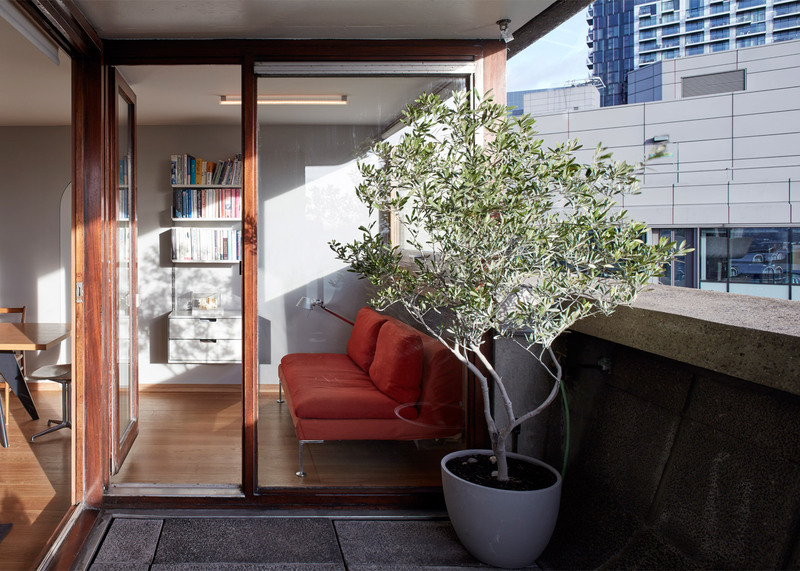 "The small but intimate scheme is neither the sole preservation of the existing details or a completely new architectural language," they added. 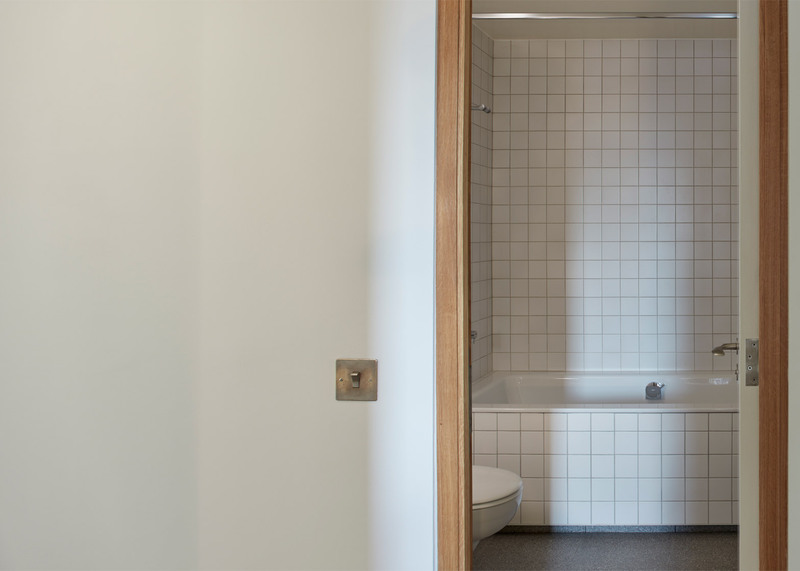 Details, materials and products are consistent throughout the majority of the rooms, including timber skirting inspired by the house and studio of architect Alvar Aalto in Helsinki, as well as solid oak flooring and door frames. 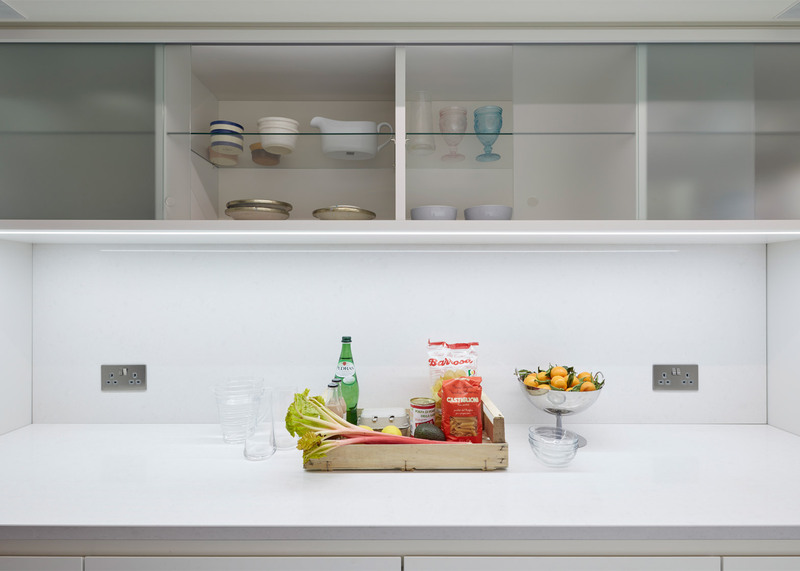 Cupboard doors throughout the property are covered in white lacquer. 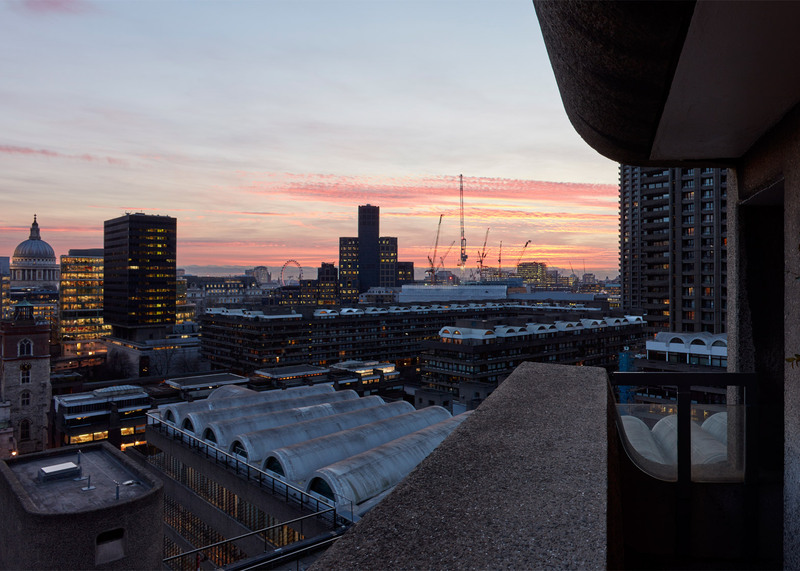 Terrazzo is used in the kitchen and bathroom in reference to the use of the material throughout the Barbican complex. 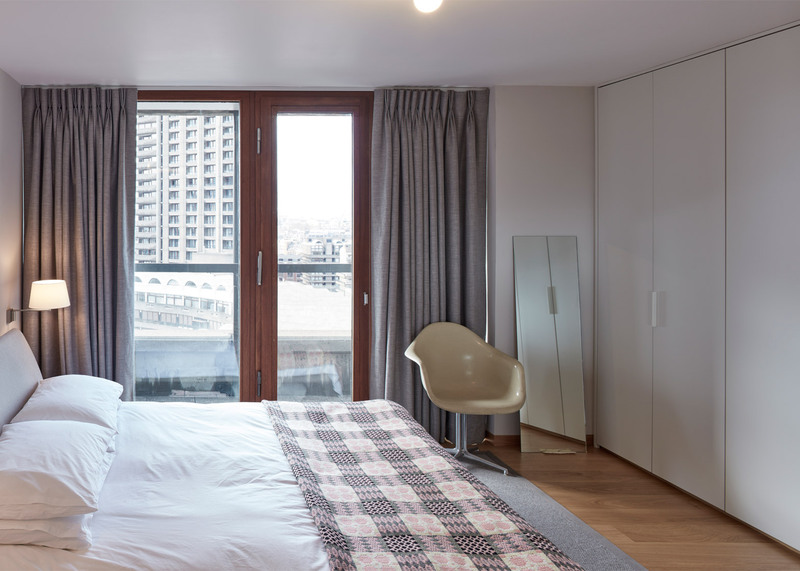 "The scheme attempts to show a thoughtfulness and direction of how these important interiors can be updated and modernised while still respecting the original architectural character and atmosphere," said the team. "These new spaces sit happily along side original interiors through a shared knowledge and a close attention to detail." 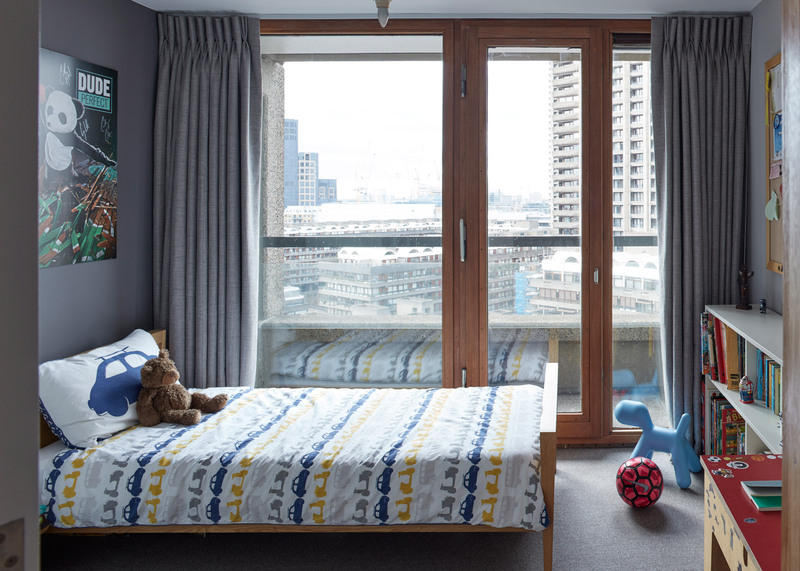 Last year, design and architecture studio Conran and Partners revealed it was reworking the interior of a 17-storey Barbican Tower, transforming it from a youth hostel into high-end apartments. Photography is by Rob Parrish.